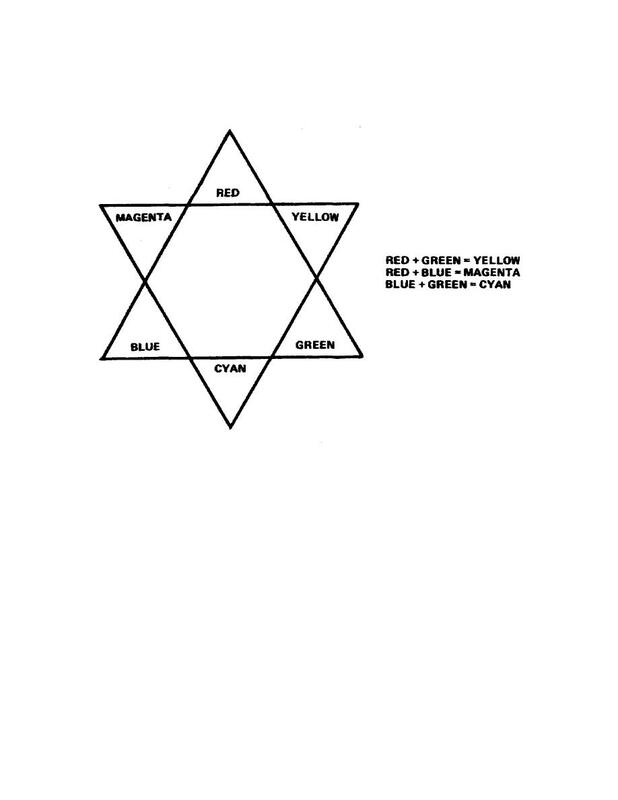 directly opposite to each other in this star; these colors are complementary to each other. only one white light source. It is the subtractive process that makes the "final product" possible. White light or subtractive color process. of light for a given factor. That is, a CC 20 Y will transmit the same amount of light as a CP 20 Y filter. printer head. You dial the appropriate filter combination required.